What To Do After a Hurricane - Advice From An Insurance Expert | Charles D. Talley Jr. Insurance, Inc. Your home has sustained damage from a hurricane. It’s a horrible situation, so what should you do first? Adam Talley provides expert advice you can follow in this situation. If you’re home has sustained damage during a hurricane, here’s what your insurance agent recommends doing. First you should take pictures of the damage. After that, the next thing you need to do is contact your insurance carrier. In Citrus County, most people are going to have flood insurance. Most homeowners that are along the waterway are in a mandatory flood zone. They more than likely have flood insurance. That’s a good thing! The further north you get, that will more than likely be your wind insurance policies. Remember that both wind and flood insurance are covered under your home insurance policy. Along the coast, you get higher velocity wind zones. In Florida, the normal homeowners policy has to offer wind protection. In those high velocity winds zones, carriers can decline this coverage. This means you might have to get a third policy that is specific to wind. 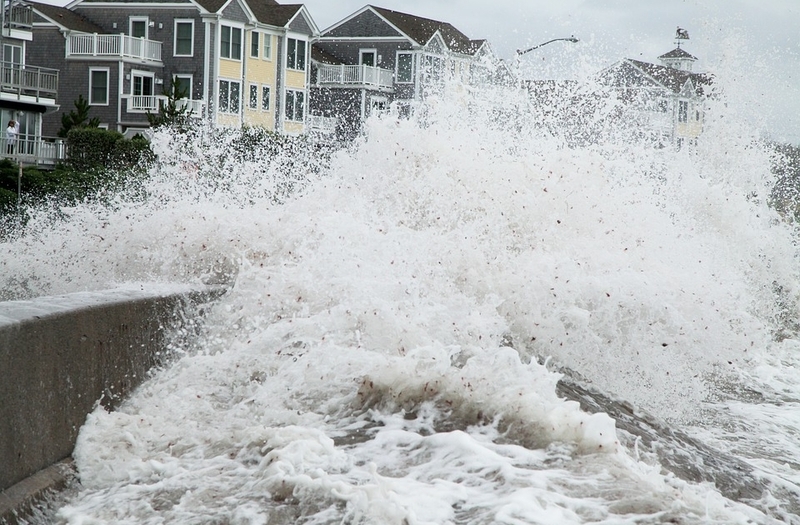 This means that if you live along the coast, your homeowners insurance policy might not cover wind. Can You Get Coverage If You’re in a High Risk Zone? If you didn’t already have the appropriate coverage, you will likely will be out of luck if the storm is bearing down on you. When it comes to flood insurance, unless it’s for a closing and it’s mandatory by your mortgage company there’s a 30-day waiting period. If you recently closed on a home in this area then you should be okay. if you were in a A flood zone or V flood zone, Your mortgage company more than likely already made you get the appropriate flood insurance. This is a question we get all the time at Charles D. Talley Jr. Insurance Inc. Since many of our clients live within these potentially hazardous zones, we want to make sure that they have the full understanding of where they’re covered and where they aren’t in the event of a hurricane. So in this instance, there is a distinct difference that you should know. Your flood insurance covers against rising water. However that isn’t going to cover against damage from wind-driven rain following a breach in your roof. That is where you’re going to want hurricane coverage for your home in Florida. If you’re wondering if hurricane coverage will protect you from the rising water caused by the storm surge, sadly this would not be the case. Even though that rising water was caused by the hurricane, this type of damage would only be covered by your flood insurance. First off, if you’re wondering if the hotel that you are going to have to stay in will be covered by your insurance policy, the answer is yes! This is covered under the “loss of use” portion in your home insurance policy. This covers the extra expenses you will incur eating out, staying at hotel, or whatever else is required to get you by while you wait for your home to be repaired. This is a good thing because mortgage companies don’t care about a storm displacing you. They will still expect that mortgage payment to be made on time. A 4 Point Inspection – What Is That? Essentially, this is an inspection for insurance eligibility purposes and it’s going to cover the four systems of your home. These four systems are your roof, the plumbing, electricity, and the HVAC system. The specifics of the 4 point inspection will depend on the age of your home and the carrier you have your home insurance policy with. Our insurance agency works with several carriers that don’t need a 4 point inspection no matter what the age of the home is. Then there are some careers that require this inspection after 30 years others that require it after 40 years. Essentially it depends a great deal on the carrier in question. What About The New Form For the 4 Point Inspection? Should You Be Concerned? The new form that just came out is directed by Citizens Property Insurance and the purpose of this form Is to provide even more detail around the essential systems of the home. This provides important insights into potential risk areas for an older home that could lead to a significant claim in the future. What Happens When An Issue Is Discovered During the Inspection? These situations can actually differ significantly depending on the carrier involved and the situation that is discovered during the 4 point inspection. Carriers will defer in how they approach various items that might be deficient in the home. However, if it is a small issue and it is for a new home closing, they might let us write the policy with the stipulation that homeowner will fix the issue within a reasonable amount of time after they have moved in. More significant issues like a roof leak will need to be addressed before we are able to write the policy. In fact, the roof is the number one rating factor when it comes to homeowners insurance in the state of Florida and it is the number one that can cause significant damage to your home. If you have additional questions about what you should do following a hurricane, or if you’d like to talk to an insurance expert about your home insurance policy, please don’t hesitate to give us a call at 813-685-9393. You can also request a home insurance quote online here!